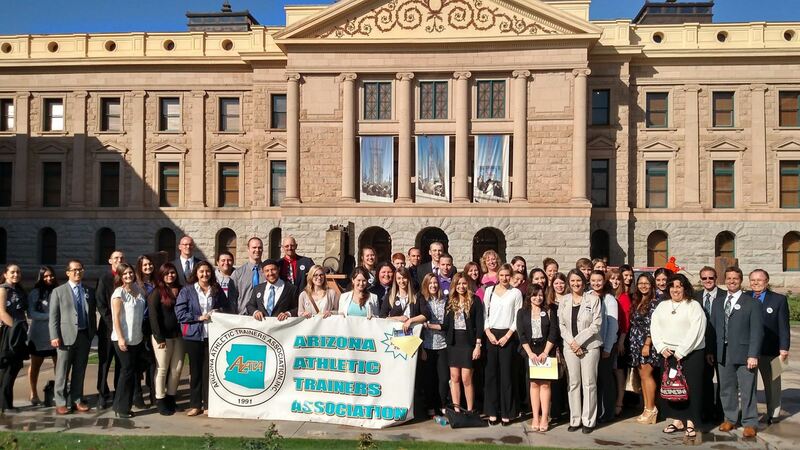 The Arizona Athletic Trainers’ Association (AzATA) is a not-for-profit 501(c)6 professional membership association for certified and licensed athletic trainers, and others, who support the athletic training profession in the State of Arizona. The AzATA currently serves over 500 members in Arizona. Certified athletic trainers are recognized as allied health professionals who provide care for active individuals, and who work in a variety of settings including secondary schools, collegiate athletics, rehabilitation clinics, physician’s offices and professional sports. The mission of the AzATA is to promote and enhance the field of athletic training as an allied health profession in its efforts and ability to service the overall health care needs of the athletic population. Join us for a Night at the Ballpark! In conjunction with the Rocky Mountain Athletic Trainers’ Association Annual Clinical Symposium, you are invited to spend a night with your athletic training colleagues and friends as the Arizona Diamondbacks take on the San Diego Padres, Friday evening, April 12th. Limited to the first 55 sold, so don't delay! Tickets will be available for pickup at the RMATA symposium on Friday. Details on transportation will be provided to attendees the week of the event. The AzATA is happy to announce its partnership with Innovative CEUs to bring additional online educational opportunities to Arizona Athletic Trainers. Please check back as we continue to add new courses. Explain the Severity Index and Head Injury Criterion formulas to show the relation to the data. Compare the functionality, reliability, and validity of helmet sensors or mouth guard sensor. Address the results and findings to draw a conclusion for general discussion. Understand the application of updated algorithms, based on scientific principles of spinal column and cord injury, as the evidence to support selective spinal motion restriction by pre-hospital providers. Click here or navigate to the page link through the menu bar above! Please note that the statement of credit for the Presentation titled "Evidence Based Approach to the Treatment and Prevention of Medial Tibial Stress Syndrome" EBP Course. The year on the statement of credit is incorrectly dated as July 16, 2016 and 7/16/2016. The correct date is July 16, 2017. Please be sure to correct this date on your certificate and to use the correct date when entering your CEUs into your Board of Certification Account. We apologize for any confusion this error may have caused. Check your email! ABAT is now offering online license renewal as an option. As you approach your due date, ABAT will send an electronic reminder and renewal instructions. If you do not have a current/valid email on file with ABAT, you may need to contact their office directly to update your information. Please visit our fan page and Like Us to receive updates and get connected with Athletic Trainers across Arizona! Follow the AzATA on Twitter! Interested in becoming a Sponsor of the AzATA?